Dr Stabler highlights the importance of surfacing and addressing team difficulties in the National Health Service (NHS) for the benefit of patient safety and staff wellbeing. 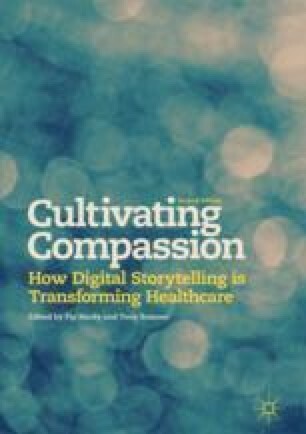 Stabler provides a guide to engaging and supporting healthcare teams in the use of digital storytelling as a method to develop and promote team resilience. Through a detailed case study of two teams that had experienced difficult circumstances, and her interaction with them, Stabler illustrates the risks and rewards of digital storytelling for staff in NHS organisations, discusses the process of preparation for the workshop and summarises key points for successful introduction of digital storytelling in an NHS context. The stories that were created as part of this project can be seen at www.patientvoices.org.uk/ht.htm.